• THE FLASH #205 "Secrets"
• PLOT SUMMARY: Written by Geoff Johns; Art by Alberto Dose & Howard Porter, inks by Dose & Livesay. "Ignition," Part 5 of 6, guest-starring Batman! 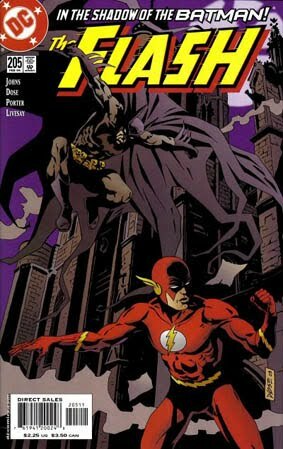 The Fastest Man Alive struggles to protect Keystone City's police officers as the true identity of their killer is revealed. The Flash wants to bring the murderer to justice, but so does a Rogue who operates outside the law. Plus, a visit from the new Rogue Profiler for the K.C.P.D. is anything but pleasant for Wally West and his wife Linda.